We’ve all been there: you’re rushing out the door to leave for work, already later than you’d like to be. You double check that you’ve turned off the stove after heating up your morning cup of tea, unplug the iron, and — of course — turn off the lights. All of those steps are essential to keeping your house safe (and saving energy!) while you’re out for the day. It would be very bad if you accidentally left the burner on or forgot to unplug the curling iron, as both are very dangerous fire hazards. 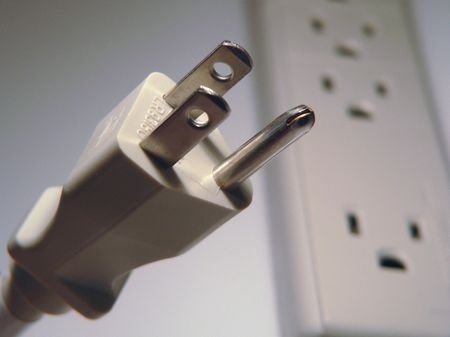 But in addition to these, you should consider unplugging these other household items when you’re not using them. Chargers: It’s common to leave your chargers plugged in, and just pop in your cell phone or laptop when your battery is running low. And while this might be convenient, it’s highly inefficient. Even when they’re not juicing up your electronics, they’re still using energy, and thus running up your electric bill. Small Appliances: Of course you won’t unplug the refrigerator just for the day, but you can definitely do so with smaller appliances. Toasters, microwaves and coffeemakers don’t have to be plugged in when they’re not in use. So after you’ve made your steaming cup of joe and toasted your bread or microwaved your oatmeal, don’t forget to unplug! Lamps: Sure, you switch off your overhead lights. But do you ever think about unplugging your lamps? This is an especially useful tips for lamps you don’t use often (think about those ones in the dining room you only turn on for major holidays). Unplug these energy suckers! Anything that’s not in use can always be unplugged to help you save energy and keep your home safe. Make sure to be conscious of how full your outlets are, and unplug when you can!